The dreaded spam folder. One thing all businesses try to avoid when it comes to sending out emails. Winding up in the spam folder can drastically diminish total number of email opens, which in turn affects the number of clicks back to website. In a lot of email clients, such as Gmail, the spam folder is sometimes hidden underneath a drop-down menu. A lot of times emails end up in spam due to email authentication not being set up properly, or DNS changes were made and never updated. According to research by CISCO Systems, no less than 86% of the world’s email traffic is spam. Which is why spam filters are getting better, faster and stronger nowadays. While this prevents spammers from taking over the world, it also prevents honest e-mails from reaching their recipient. Simple Mail Transfer Protocol (SMTP) is an application layer protocol. The clients who wants to send the mail opens a TCP connection to the SMTP server and then sends the mail across the connection. CAN-SPAM Act law that was enacted back in 2003 and sets national standards on commercial email. 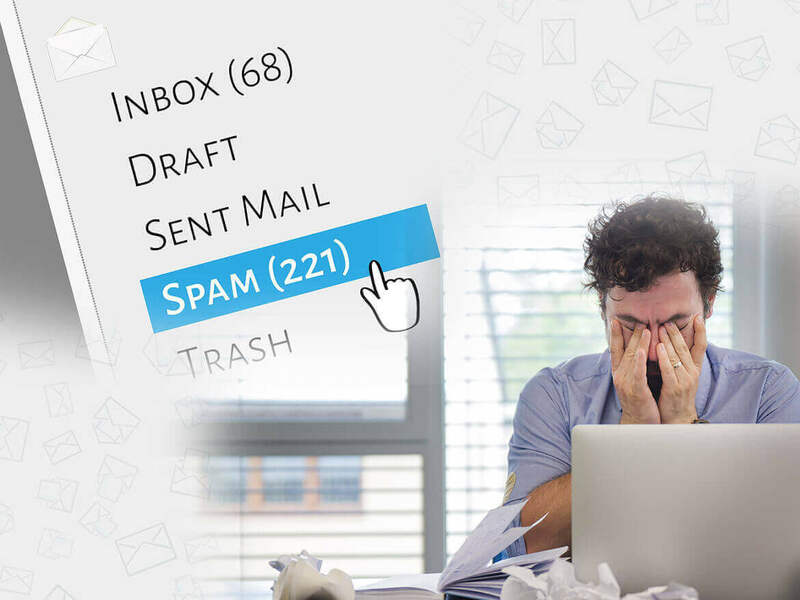 By familiarizing with the CAN-SPAM Act and understanding the logic behind spam filters as well as the thought process of actual human readers, this make able to eliminate any spamminess. One of the big reasons that it is getting harder to avoid emails going to spam is that spam filtering has become more rigorous. Webmail providers are simply cracking down harder on spam. However, the filters aren’t 100% accurate, so sometimes legitimate emails go to spam as well. There are multiple factors which play an important role in determining whether or not business emails get delivered to the inbox. What else can a business person do to keep from getting marked as spam? Every time an email business person send is marked as spam by a recipient, more scrutiny is placed on business person’s future emails by filters. Use the following quick tips to improve Email delivery in real time. Businesses primary focus should be to maintain a healthy list of contacts, send content they truly want, engage your contacts, and encourage them to interact with your campaign. Be it service or product-based business. If business focus on these items great delivery will follow. Although following above tips, if your Emails still goes to Spam. This guide will walk you through how to authenticate your domain for emails. This can help get your emails back in your customer’s inboxes, where they belong. Authenticating sending domain means confirming that you are the sender you say you are. Email authentication is a way to ensure that an email provider (such as Gmail and Hotmail) will be able to recognize the company sending incoming message. In other words, email authentication allows email marketing tool to send email on your behalf, but as your domain. For example, with MailChimp, it removes the default authentication information that shows up next to business campaigns from name. You will want to use your own domain name for newsletters, both for deliverability and branding purposes. Setting up email authentication is simply matter of creating a few additional DNS records or uploading a file to your server using information provided from your email marketing tool. We at Latitude Technolabs guide you through the entire methods further below. Let’s dive into the four primary authentication methods that are used by ISPs. 1. SPF: Adds the IP addresses allowed to send email via certain business domain name in your DNS record. SPF stands for Sender Policy Framework. According to the SPF website: ” SPF authenticates the envelope HELO and MAIL FROM identities by comparing the sending mail server’s IP address to the list of authorized sending IP addresses published by the sender domain’s owner in a “v=spf1″ DNS record.” Currently, these are in the form of a TXT record. In other words, when you receive an email, your ISP uses the SPF record to check the IP address of the sender as well as the IPs of the website. If they match up, then you’re good to go. Larger companies such as Google, Comcast, Verizon, Live.com, and Cox.net all use SPF records. 2. DKIM/DomainKeys: Based on the DNS record, this authentication solution is used to sign emails with a public or private key system. DKIM stands for DomainKey Identified Mail. According to the DKM website. “DKIM attaches a new domain name identifier to a message and uses cryptographic techniques to validate authorization for its presence. The identifier is independent of any other identifier in the message, such as author’s from: field.” Various forms of validation can be used, such as a CNAME record for TXT record. An example of a DKIM record which MailChimp uses for authentication. 3. DMARC: This new technology allows the sender to check whether emails have been properly authenticated by the ISP or webmail. 4. Sender ID: Sender ID, developed by Microsoft, is sometimes lumped together with SPF. However, they are slightly different. While both validate email sender addresses and utilize the same method for doing so, the Sender ID checks against the purported responsible address (PRA), which is the visible sender address in the message. Sender ID was used primarily by Hotmail and windows live mail, both of which no longer exist. Many online email marketing tools won’t actually need anything from you pertaining to the Sender ID. If your business followed above tips, and are still having a problem with emails getting sent to spam, here are some spam checkers that can be used to test emails for issues. Or simply, contact our support team to help. To increase open rates, send your business emails at the right time, perfect your subject lines, segment your list, and keep your list fresh. To make subscribers remember you or your business, make sure that the branding in your emails is memorable, and matches the branding on your website. This includes any images, colors, typography, voice, etc. Also, make sure the “from” line is from a name they will recognize faster. In general, be its service based or product-based businesses, both needs to stick to a reputable Email Service Providers (ESP). Some providers Latitude Technolabs Pvt Ltd. recommend are MailChimp, Aweber, ActiveCampaign, Infusionsoft and ConvertKit. If this post helped you, please consider hiring our services and following us on Facebook and Twitter.